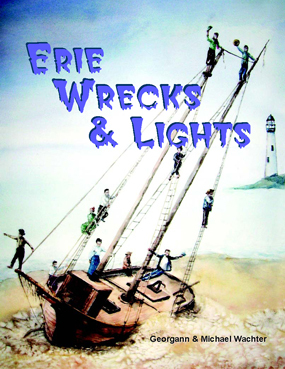 To share the rich maritime history in the depths of Lake Erie and encourage recreational diving. 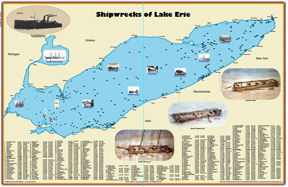 To encourage recreational diving and dive tourism, we usually publish the locations of the shipwrecks we find. The only exceptions to this are when the ship has an artifact on it that needs to be documented before providing public access, and when the person who told us of the wreck wants it kept secret. We have elected not to do a print version of the updated shipwreck chart. We have it available in a 24' x 36" PDF which you can have printed at your local print shop. Price: $15. Your order will be fullfilled by email. 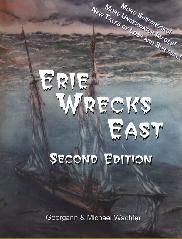 We are excited to announce a new printing of the bestselling Erie Wrecks West. 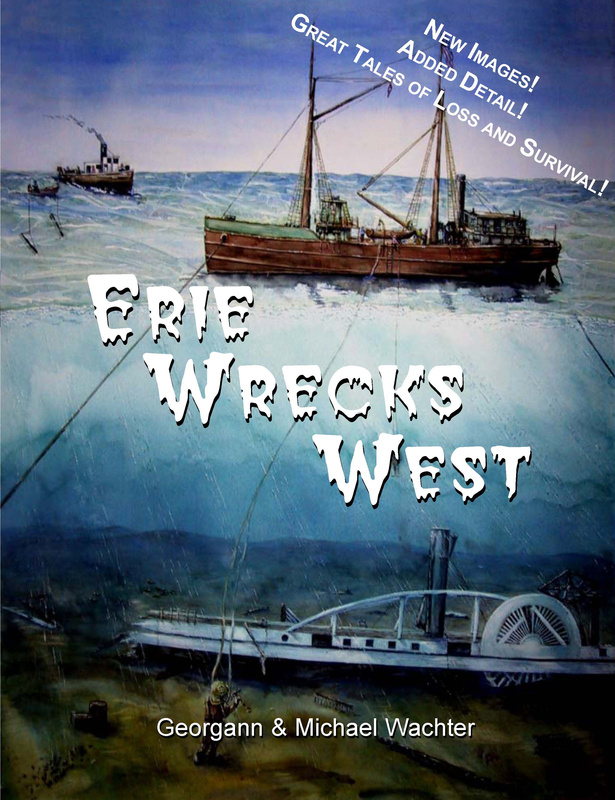 The new book includes the same 103 western Lake Erie shipwrecks but with more than twenty new photos or sidescan images, six new or updated GPS locations and two new shipwreck identifications.